Earlier this week, I finally mowed the blanket of weeds grass in my backyard for the first time since moving in five months ago. I know. 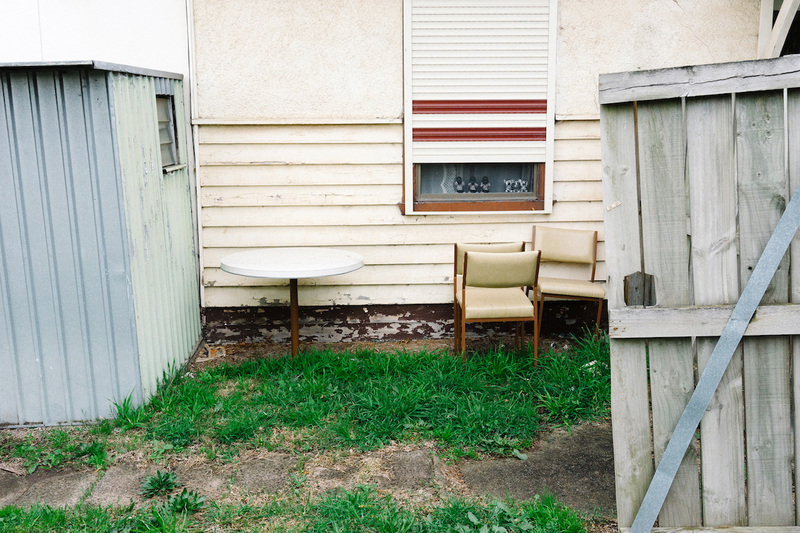 But it just goes to show the sad truth: our backyards tend to get neglected. I mean, no one’s looking at the backyard when they drive by, right? If the front yard looks a hot mess, everyone will notice. But the backyard? It can stay a sand pit, thanks. I’ve got other things to worry about — things that aren’t half-crumbling, unused fire pits and overgrown bushes that no one will ever notice. And sure, maybe a messy backyard could be remedied with a little bit of elbow grease. But beyond that? Fuhgeddaboutit. It’s the landscaping, the water feature, the stone paver path, the gazebo, the deck — the things that backyard dreams are made of but that are just a little too expensive (even as a DIY project) that make a yard a home. Right? So if there was a chance to transform your backyard from a sad, overgrown, chaotic, hopeless backyard (their words, not mine) into a less-desperate landscape with the help of some DIY professionals, wouldn’t you jump at it? Great. ‘Cause there is, and you can. Do You Have America’s Most Desperate Landscape? The DIY Network is currently looking for “fun, active homeowners with dreadful, chaotic, overgrown, under-tended, absolutely hopeless backyard landscapes” to apply to be featured on the show “America’s Most Desperate Landscape” in 2018. The network encourages people to dream big, offering whatever it takes to make your rundown outdoor space into your dream backyard — perfect for relaxing, entertaining or just enjoying some simple family time. Include your name and contact info, along with a short explanation about yourself, your family and your (bummer of a) backyard. Be sure to include at least three pictures of your backyard to prove just how dire the situation really is. Create a brief video that shows both your sad backyard and your family’s fun personality. Be convincing and show the network that you’re the right choice for TV. Post your video on YouTube and include the link in the email. Then, all you have to do is stare forlornly out your back window imagining what could be while you wait to hear back from the network.